If "Thanksgiving" makes you think of fussy recipes and weeks of planning, toss the rulebook. With our easy appetizers, make-ahead recipes and quick desserts, we'll help you create a fab Thanksgiving dinner—the easy way! Step 1: Forget the whole-bird hype. 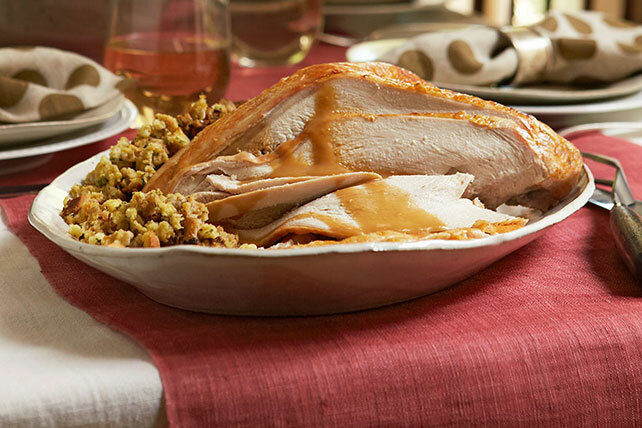 Did you know that 5 pounds of turkey breast accompanied by savory stuffing and gravy will feed 12 easily? It's true! Not to mention it preps in 20 minutes and cooks in under 2 hours. Step 3: Get ahead of the game. 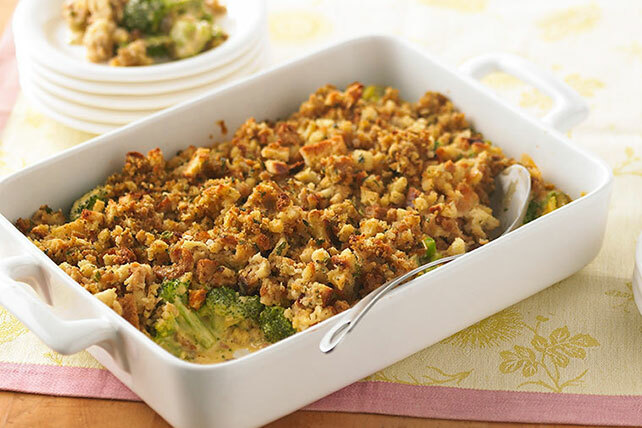 When you're caught up in the kitchen hustle, pre-made Thanksgiving sides can be a sanity saver. 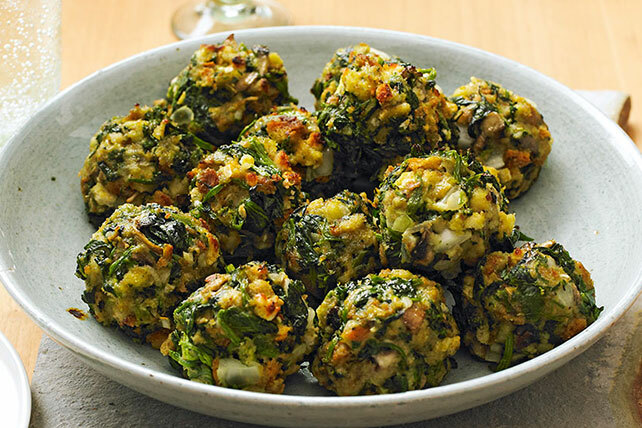 This delish broccoli recipe can be assembled and refrigerated up to 24 hours ahead. 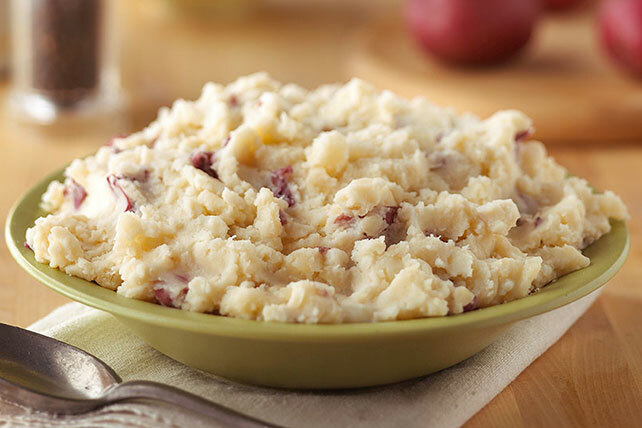 Step 4: Do the mashed potato. We couldn't leave these beloved spuds out—but that doesn't mean you have to babysit 'em! In 35 minutes start-to-finish, you'll have an amazingly creamy bowl of taters flavored with Parmesan—and they're Healthy Living, too! Step 5: Serve big-batch comfort food. If you know a dish is a crowd-pleaser, make it. A LOT of it. 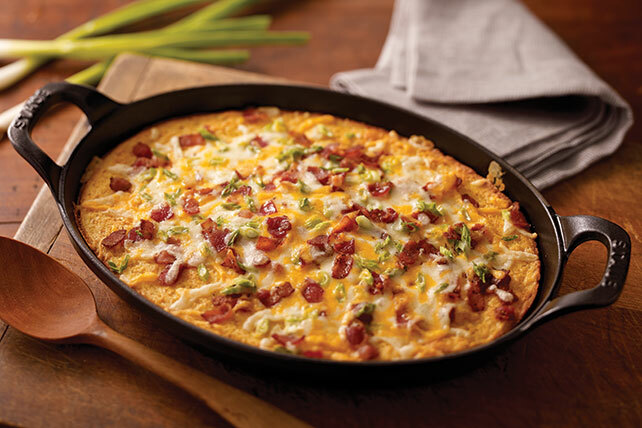 And this 12-serving, cheesy casserole fits that bill deliciously. Step 7: Make it easy as pie. 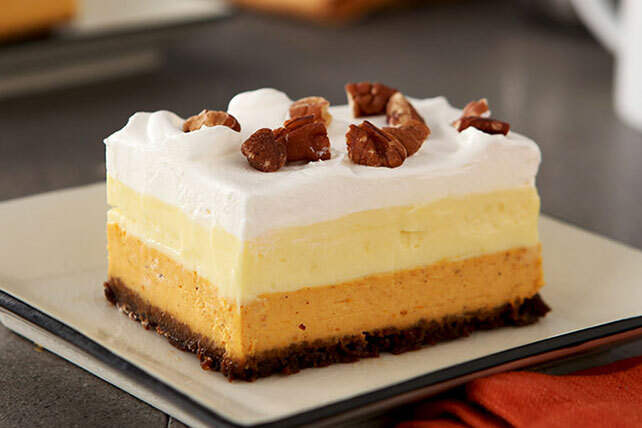 With this coconutty Thanksgiving dessert, it's more than just a saying—easy pie is a reality. Five ingredients. Fifteen minutes of prep. Believe. Not sold on coconut? 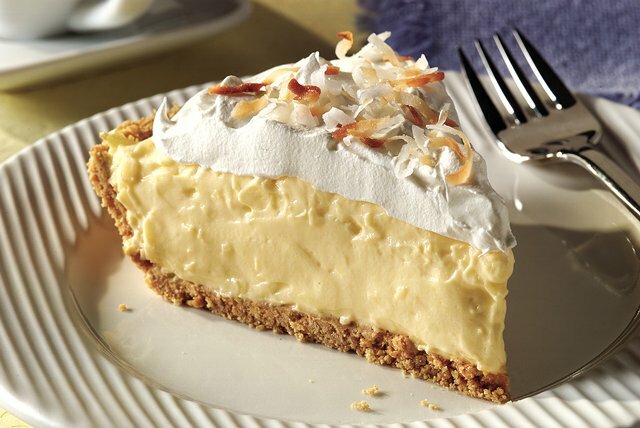 Try perusing other easy cream pie recipes for inspiration.